Mehmet Aga Mosque is situated in the District of Beycegiz in the street named after the mosque. It was built for Haci Mehmed Aga in 1585. He was a high rank officer in the palace responsible from harem and the commander and the palace halberdiers. As understood from the inscription on his tomb that is situated in the threshold of the mosque, he is known to have died in the 1590. There ara two morc mosques in Uskudar, a madrasa, a school, and a water fountain on the Divan Road, in front of HocaRustem Mosque built for Mehmed Aga. 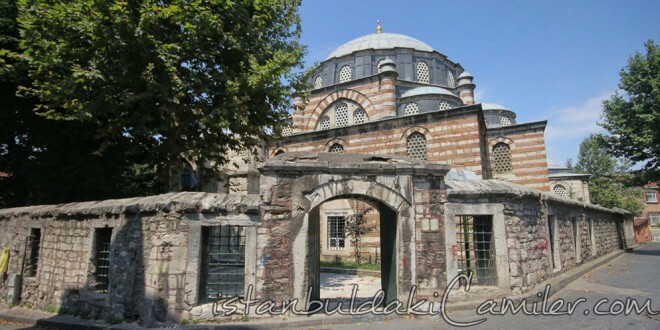 Architect of the mosque is Davut Aga. lts mihrab and minbar are made of marble and the tile panels crowning the lower windows and the tiles embracing thr mihrab from both sides ara thr ornamentation apparatus which ara 16th century Kutahya or Iznik tiles and or ara the tiles belonging to 18th century Tektur palace.